Often one of the top three or four Merlots made in California is the 2012 Merlot (91% Merlot, 7% Petit Verdot, 2% Cabernet Sauvignon). 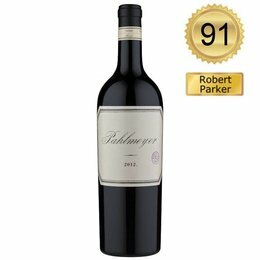 This has always been a winner and continues to be so, and probably no winery in California has had such a long succession of brilliant Merlots as Jayson Pahlmeyer. He has had some brilliant talent working with him over the years, including one of the first jobs Helen Turley took, followed by one of her assistants Erin Green. This wine exhibits dense plum/ruby/purple color, plenty of mocha, cherry jam and cassis. I wouldn’t say it’s one of their all-time great Merlots, but it’s top-flight. Very rich, it shows a broad spectrum of flavors and an expansive mouthfeel. Drink it over the next decade. Some new cuvées seem to have entered Pahlmeyer’s portfolio. I guess making two world-class red wines, their Merlot and Proprietary Red was just not enough of a challenge for Jayson Pahlmeyer!